This spooky season, the 1460 boot is given a super-natural makeover in leather laser-etched with an intricate spider's web design and skull motif. A eight-eyelet lace-up climbs its way up the front of the Unisex Skull Web boots, paraded by eyelets and bound by rounded black laces. Leather lined, the Dr Martens also has their trademark Goodyear welted airwair sole with special apple green stitched z-welted construction. 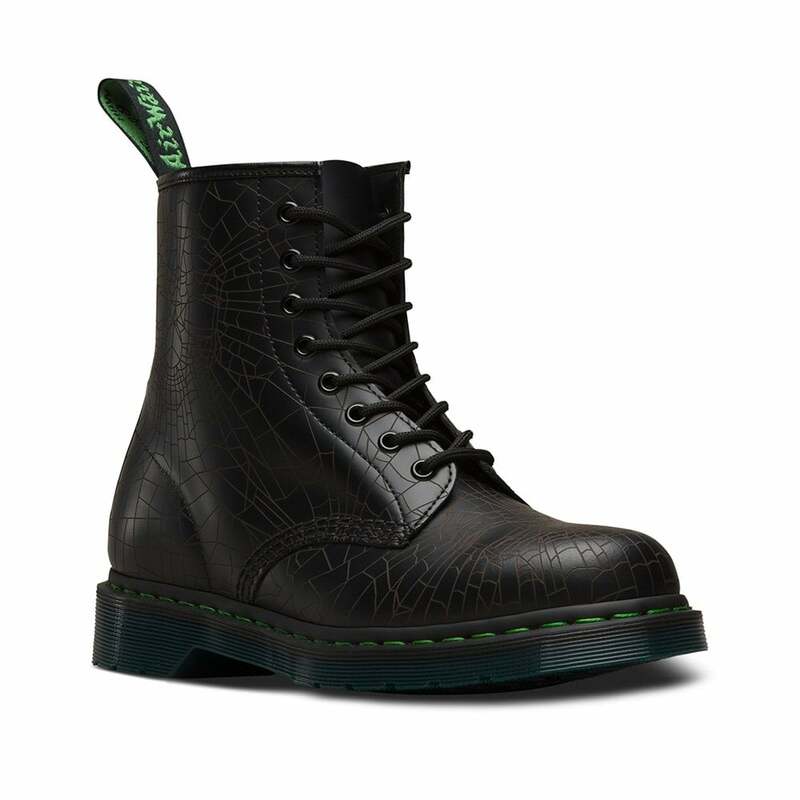 Buy the Dr Martens 1460 Skull Web Unisex Leather Ankle Boots this Halloween at Scorpio Shoes!